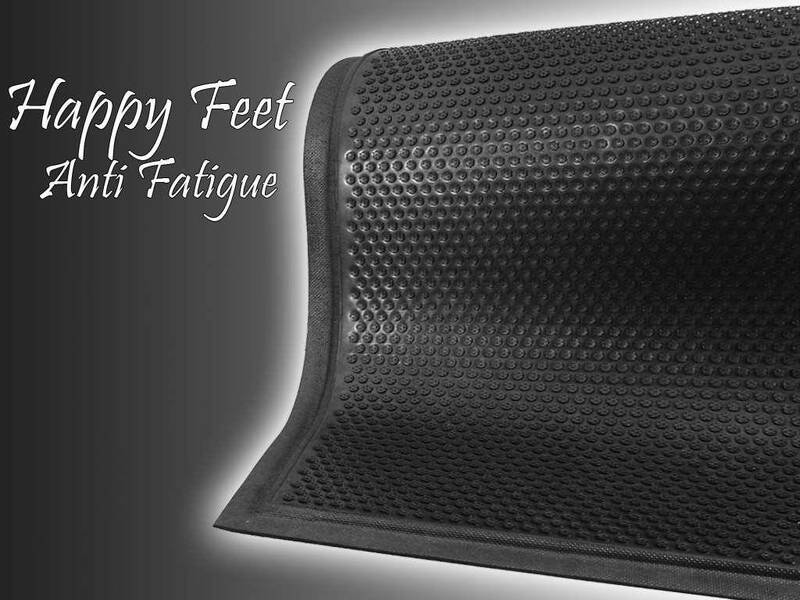 Happy Feet Anti Fatigue combines comfort with drainage properties. 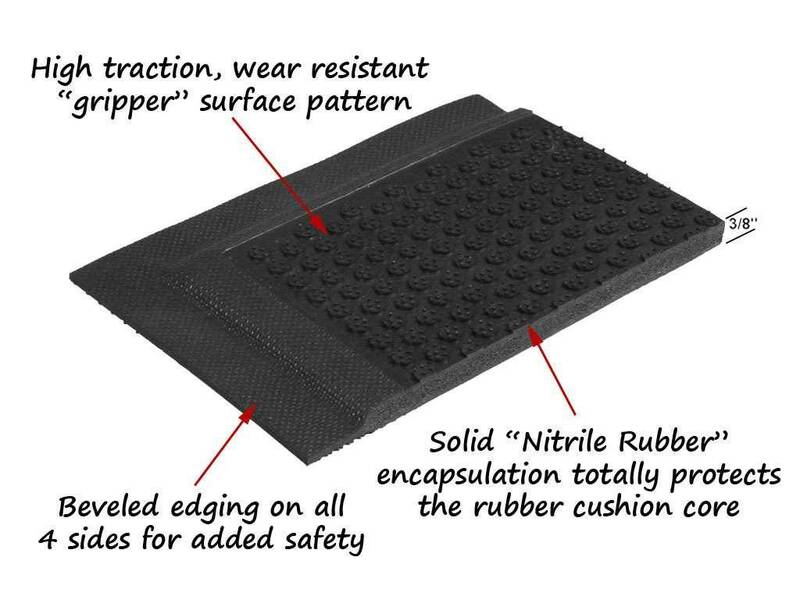 This mat will stay slip resistant whether wet or dry. Happy Feet Anti-Fatigue Mat's grip-surface face cleats scrape dirt and grime off shoes and provide an excellent anti-slip surface. Premium nitrile rubber compound is highly resistant to industrial chemicals, oils, greases and animal fats. 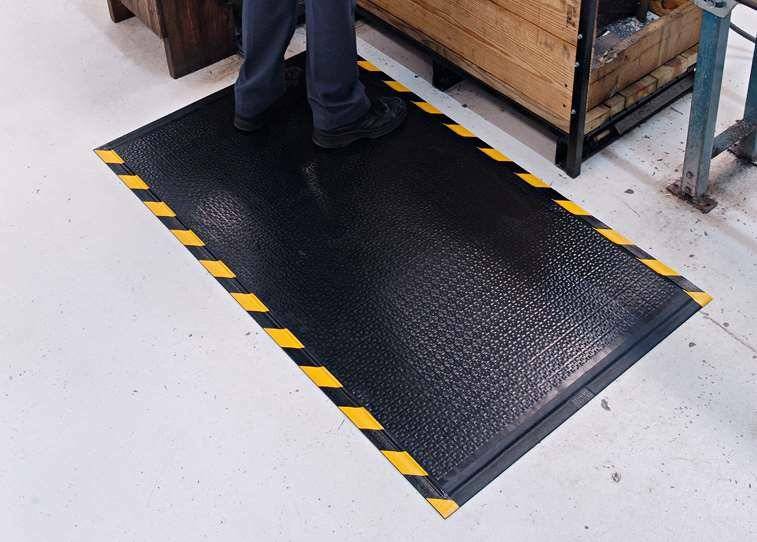 An excellent choice for commercial or industrial environments where accident reduction is desired. Easy-to-clean floor mat: simply hose off or pressure wash to remove debris.